We’re No. 32! We’re No. 32! Here’s a case in which a lower ranking is better for North Carolina: It’s the Tax Foundation’s ranking of per-capita state and local tax collections. 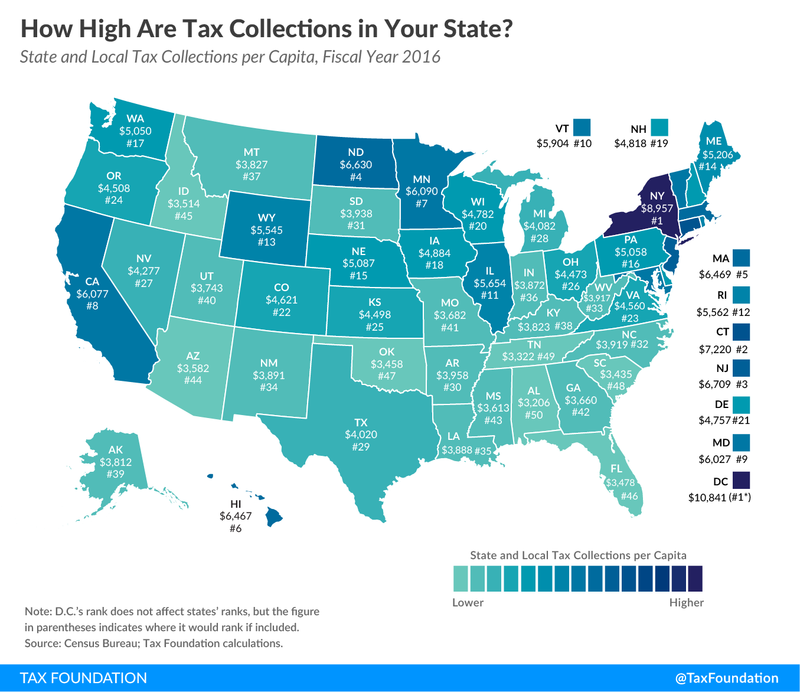 While we should be relatively happy that our total of $3,919 in state and local tax collections ranks below the middle of the pack at No. 32, two of our neighboring states fare even better: South Carolina ($3,435, No. 48) and Tennessee ($3,322, No. 49).